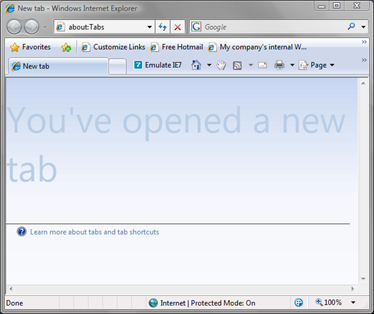 OK, try the same thing with IE8 Beta 1. This time I only opened 4 tabs, then closed them down. Yeah, I know, not scientific. But I'd like my RAM back. Especially considering it's running on Vista. As an aside, the time between closing the "empty" IE7 window last night and the iexplore.exe process finally exiting was ~30min. 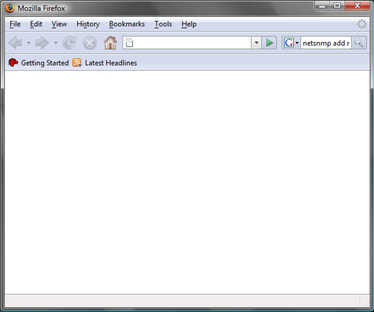 And before anyone asks the Temporary Internet Files folder was not set to be emptied on exit. Must get another 2GB of RAM for my laptop. Plus a faster hard drive. Which begs the question - when are we going to start seeing >4GB laptops? And >8GB non-server motherboards? Because it's clear to me that the big software developers of this world are living in fantasy land and are far more concerned about their profits, time to market and the cost of developers (probably in that order too) rather than what the user actually wants. Your post a year or so ago about the SBS CAL reset issue absolutely saved my life, thanks for blogging about this stuff!